I believe I first met Caroline Watt in one of the Parapsychological Association’s conventions. But I got to know her better when I was working towards a PhD in psychology at the University of Edinburgh, where she is faculty. 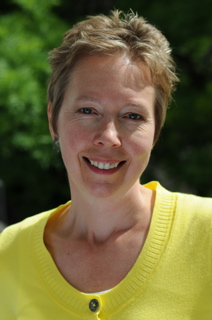 Caroline has a PhD in Psychology and is currently on the faculty of the Department of Psychology of the University of Edinburgh, where she is a Senior Lecturer, the Perrot-Warrick Senior Researcher, and a member of the Koestler Parapsychology Unit . She supervises postgraduate students and teaches various courses, among them an online parapsychology course. 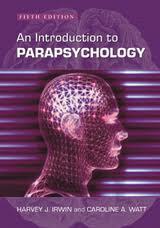 Caroline is the co-author, with Harvey J. Irwin of the well-known textbook An Introduction to Parapsychology (5th edition, 2007). In addition she was the President of the Parapsychological Association (2004-2005) and is a member of the Scientific Advisory Board of the Bial Foundation. Curiosity first and foremost. As a teenager, Lyall Watson’s book Supernature first piqued my interest, and I devoured loads of books in that genre. My subsequent involvement as an academic grew from being in the right place at the right time and grasping an opportunity. I studied for a psychology degree at St Andrews University in Scotland, and sat my final exams in 1984. At that time there was considerable press interest in the setting up of the Koestler Chair at Edinburgh University. I thought parapsychology was a fascinating area of enquiry and was delighted by the idea that one could study it in a university setting. After I graduated I wrote to the newly appointed Koestler Professor, Robert Morris who had not yet moved from the USA to Edinburgh), to say I’d love to help out if he could use an extra pair of hands. To cut a long story short, I eventually met Bob, who said he was planning to advertise for a research assistant and invited me to apply. I got the job and started in June 1986, about six months after Bob’s arrival in Edinburgh. I’d split this into three areas: Research, scientific standing of the field, and public communication. I’ve always been attracted to research topics that bridge psychology and parapsychology. For instance, my PhD thesis concerned perceptual defensiveness/vigilance and extrasensory perception, and I have also worked on experimenter effects in parapsychology and the psychology of paranormal belief. I’d like to think that my research helps to bring parapsychology to a more general scientific audience. Like Bob Morris, I also think that it is important to embed parapsychology within a mainstream academic setting, to open minds and demonstrate to the establishment that this is a responsible and scientific field of endeavor with high methodological standards. The Koestler Parapsychology Unit (KPU) is a research group within a university psychology department. So I teach parapsychology to undergraduate psychology students, through my final year option course and student research projects (some of which achieve journal publication). I also supervise PhD students. As part of my efforts to enhance the scientific standing of parapsychology, I run a parapsychology trial registry on the KPU website together with Jim Kennedy. Psychologists in the blogosphere have started to notice this and have described the KPU registry as a ‘victory for good science’. Finally, my work with the Bial Foundation, for instance helping to organize the biannual symposia, strives to provide a broader scientific platform for parapsychologists. Thirdly, I am passionate about providing the general public with responsible information about the field. To achieve this, I run the KPU website, maintain a Twitter stream @KPUNews, and lead an open access online parapsychology course. The prevalence of paranormal beliefs and experiences in the general population means the field cannot be lightly dismissed. The psi hypothesis of course has potentially deep scientific implications. While there continues to be some debate in the wider scientific community over whether replicable evidence for psi has been demonstrated, history shows that the challenge of examining claimed paranormal abilities can itself bring methodological and conceptual advances that have potential applications beyond parapsychology. Perhaps because there are so few parapsychologists, research activity is rather piecemeal, which hampers progress. This leads to a vicious circle, since fewer bright new researchers are attracted into the field. Secondly, I think parapsychologists (including myself) could do a better job of making their research relevant to the mainstream. I won the Perrott-Warrick Senior Researcher fellowship back in 2010 and this has helped to support my recent research studying precognitive dream experiences from both a psychological and parapsychological perspective. I’ve just had a paper on the latter published in the Journal of Parapsychology. Regarding public communication, I’m currently writing a popular book about parapsychology. Lastly I’m excited to be considering how to commemorate the 30th anniversary of the KPU, which falls towards the end of next year. H. J. Irwin & C. Watt (2007). An Introduction to Parapsychology (5th Edition). Jefferson, NC: McFarland. R. Wiseman & C. Watt (Eds). (2005). Parapsychology. Ashford: Ashgate. Valášek, M., Watt, C., Hutton, J., Neill, R., Nuttall, R. & Renwick, G. (2014). Testing the implicit processing hypothesis of precognitive dream experience. Consciousness and Cognition, 28, 113-125. Watt, C. & Tierney, I. (2013). A preliminary test of the Model of Pragmatic Information using cases of spontaneous anomalous experience. Journal of Consciousness Studies, 20, 205-220. Easter, A., & Watt, C. (2011). It’s good to know: How treatment knowledge and belief affect the outcome of distance healing intentionality for arthritis sufferers. Journal of Psychosomatic Research, 71, 86-89. Mobbs, D. & Watt, C. (2011). There is nothing paranormal about near-death experiences: how neuroscience can explain seeing bright lights, meeting the dead, or being convinced you are one of them. Trends in Cognitive Science, 15, 447-506. Watt, C., & Wiseman, R. (2010) ‘Twitter’ as a new research tool: Proof of principle with a mass participation test of remote viewing. European Journal of Parapsychology, 25, 89-100. Rabeyron, T. & Watt, C. (2010). Paranormal experiences, mental health and mental boundaries, and psi. Personality and Individual Differences, 48, 487-492. Watt, C. A. (2006). Research assistants or budding scientists? A review of 96 undergraduate student projects at the Koestler Parapsychology Unit. Journal of Parapsychology, 70, 335-356. Schlitz, M., Wiseman, R., Watt, C., & Radin, D. (2006). Of two minds: Skeptic-proponent collaboration within parapsychology. British Journal of Psychology, 97, 313-322. Watt, C., & Brady, C. (2002). Experimenter effects and the remote facilitation of attention focusing: Two studies and the discovery of an artifact. Journal of Parapsychology, 66, 49-71. Watt, C., & Wiseman, R. (2002). Experimenter differences in cognitive correlates of paranormal belief, and in psi. Journal of Parapsychology, 66, 371-385. Watt, C. & Nagtegaal, M. (2000). Luck in action? Belief in good luck, psi-mediated instrumental response, and games of chance. Journal of Parapsychology, 64, 19-38. Watt, C.A. (1996). What makes a good psi target? Three studies of forced-choice ESP varying target emotionality and complexity. Journal of Parapsychology, 60, 25-41. Watt, C.A. (1996). Knowing the unknown: Participants’ insight in three forced-choice ESP studies. Journal of the American Society for Psychical Research, 90, 97-114. Watt, C., Ravenscroft, J. & McDermott, Z. (1999). Exploring the limits of direct mental influence: Two studies comparing “blocking” and “co-operating” strategies. Journal for Scientific Exploration, 13, 515-535. Watt, C. & Ravenscroft, J. (1999). Defensiveness, neuroticism and extrasensory perception. Journal of the American Society for Psychical Research, 93, 341-354. Watt, C.A. & Morris, R.L. (1995). The relationships among performance on a prototype indicator of perceptual defence/vigilance, personality, and extrasensory perception. Personality and Individual Differences, 19, 635-648. Watt, C.A. (1992) Defensiveness and Psi: Problems and Prospects. In L.A. Henkel & G.R. Schmeidler (Eds) Research in Parapsychology 1990, pp. 102-106. Metuchen, NJ: Scarecrow Press. Watt, C.A. (1990-1991). Psychology and Coincidences. European Journal of Parapsychology, 8, 66-84. Watt, C.A. (1990). The value of spontaneous cases. Journal of the Society for Psychical Research, 56, 273-286. Watt, C. & Tierney, I. (2014). Psi-Related Experiences. In E. Cardeña, S. Krippner, & S. Lynn, (eds.) Varieties of Anomalous Experience: Examining the Scientific Evidence. 2nd ed. Washington DC: American Psychological Association, 241-272. Watt, C. & Irwin, H.J. (2010). Processes underlying the phenomena of mysterious minds: Laboratory evidence for ESP. In S. Krippner & H. Friedman (Eds) Mysterious Minds: The Neurobiology of Psychics, Mediums and other Extraordinary People. Greenwood/Praeger. Watt, C. (2005). Psychological factors. In J. Henry (Ed.) Parapsychology: Research into Exceptional Experiences. Hove, East Sussex: Routledge. Watt, C. (2001). Paranormal cognition. In R. Roberts & D. Groome (Eds) Parapsychology: The Science of Unusual Experience. London: Arnold (pp. 130-140). Watt, C. (1999). The future of psychology: Parapsychology’s Role. In Brander, T. et al. (Eds) The Future of Psychology. Amsterdam: Stichting VSPA Ledenservice. (pp.17-20). Watt, C.A. (1996). Subliminal and extrasensory perception. In J. Henry (Ed.) Introduction to Psychical Research. London: Society for Psychical Research, pp. 130-135. Watt, C.A. (1994). Making the most of spontaneous cases. In S. Krippner (Ed.) Advances in Parapsychological Research, Volume 7, pp. 77-103. Jefferson, NC: McFarland.